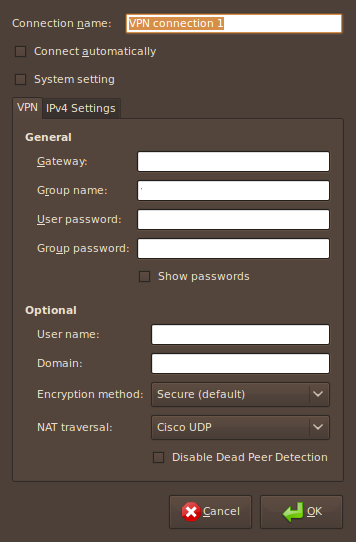 Quite a while ago I’ve posted a way to setup your VPN access using VPNC in Ubuntu 8.04 Hardy Heron. 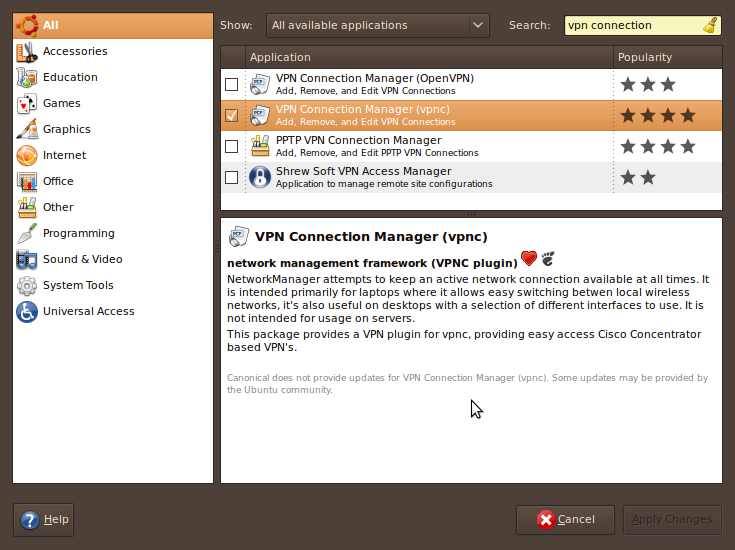 Now with Ubuntu 8.10 Interprid Ibex, things will become much more easier, by using the NetworkManager applet in Gnome. 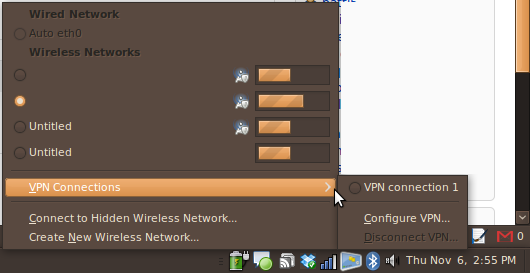 When you have not yet installed any VPN manager, the “Add” button for VPN connections in the applet seems to be disabled. 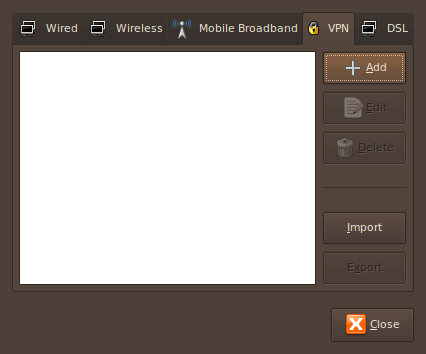 But thanks to a post in UbuntuForum here, I manage to enable the “Add” VPN connection button, and add my office’s VPN connection by a few simple clicks. 1. Go to Applications -> Add/Remove. 2. From the Show dropdown “All available applications”, and then enter “vpn connection” into the search box. 3. Choose your choice of VPN manager. In my case it’s VPNC. 6. Enter your VPN connection details (Gateway, user name, passwords, etc). Great article, mate. Saved me a whole lot of time. Thx. I always get “Connection Failed” for PPTP. Do you have any idea about this? Does this still work with the latest changes in separating domain from username?